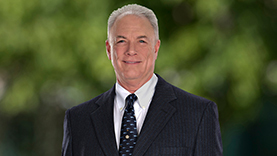 Foley, Baron, Metzger & Juip, PLLC (FBMJ) is pleased to announce that Brian Whitelaw has joined the firm as a partner. For over 35-years, Whitelaw has defended health care entities and professionals in malpractice litigation throughout the State of Michigan. Clyde Metzger, Managing Member, made the announcement. Whitelaw, who has had over 70 jury trials with a 95% win rate, has successfully defended hospital systems, physicians, nurses, nurse practitioners and physician assistants in suits arising out of a variety medical specialties. In 2018, Whitelaw was selected as a Michigan Super Lawyer® in the field of medical malpractice for the 11th consecutive year, and was among only a handful of lawyers receiving that honor in Michigan. He is also an elected member of the American Board of Trial Advocates (ABOTA), a highly selective, invitation-only organization that works to advance the jury system, support judicial independence and elevate standards of integrity, civility and professionalism in the legal profession. He earned his law degree at Michigan State University College of Law, and his undergraduate degree at Michigan State University.